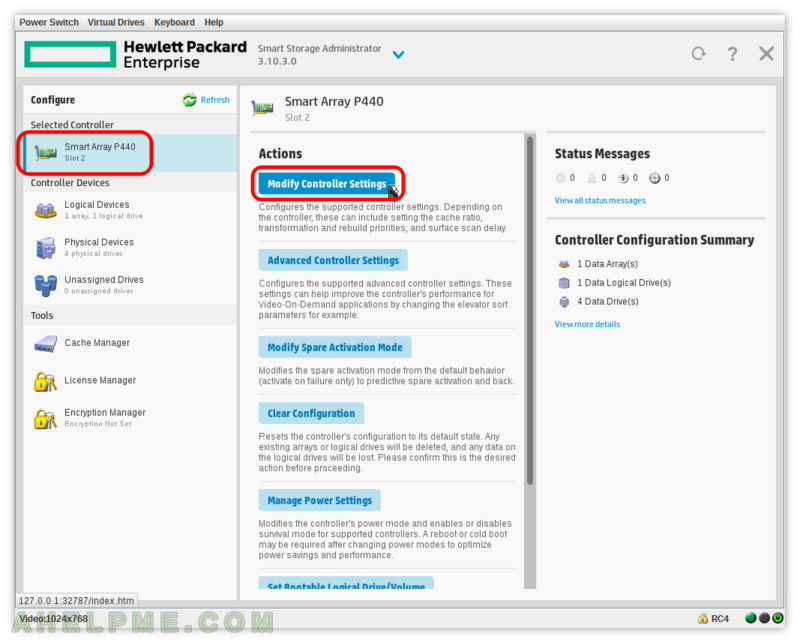 SCREENSHOT 31) Select the controller Smart Array P440 and click on “Modify Controller Settings” to modify the global controller settings. 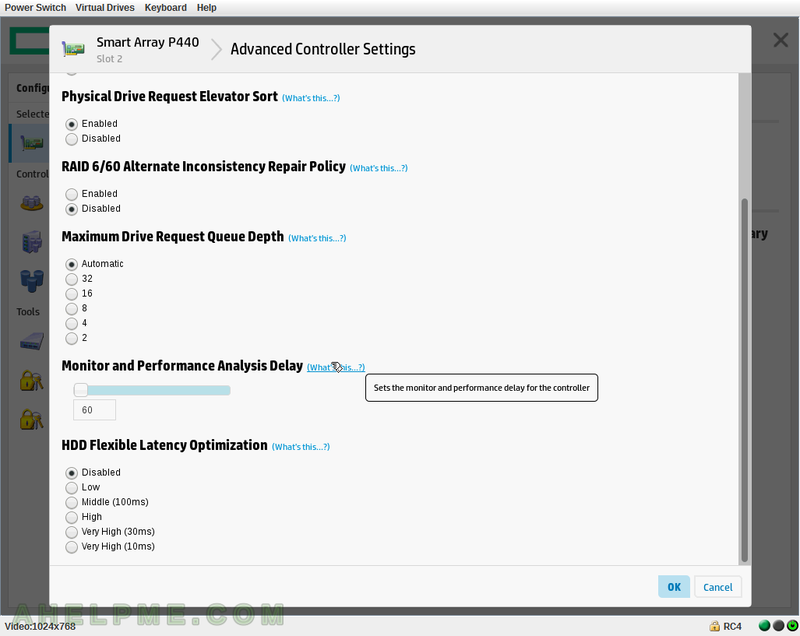 SCREENSHOT 32) Here is what is available – Transformation Priority -> High, Medium, Low (related to the IO used for the transformation), Rebuild priority (related to the IO used for the rebuilding process), Surface Scan Analysis Priority, Current Parallel Surface Scan Count, Physical Drive Write Cache State. 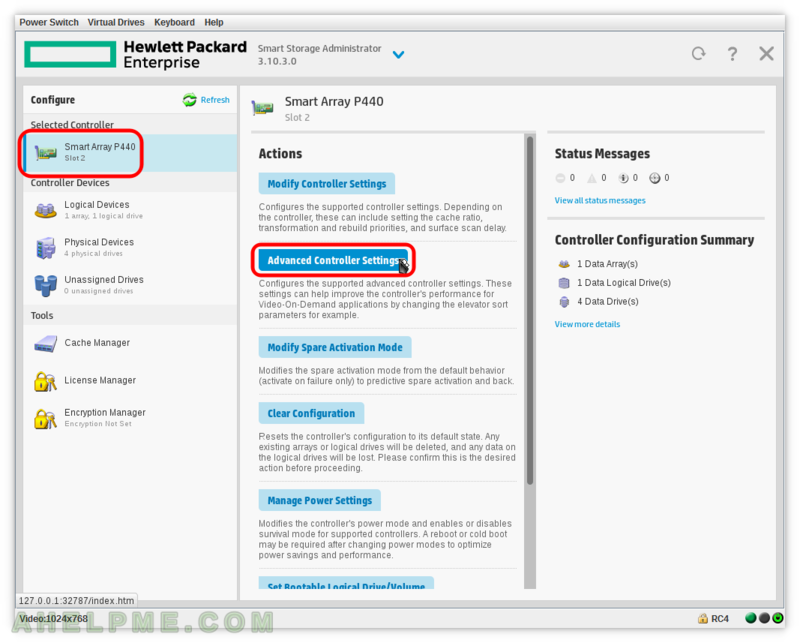 SCREENSHOT 33) Select the controller Smart Array P440 and click on “Advanced Controller Settings” to modify the advanced controller settings. 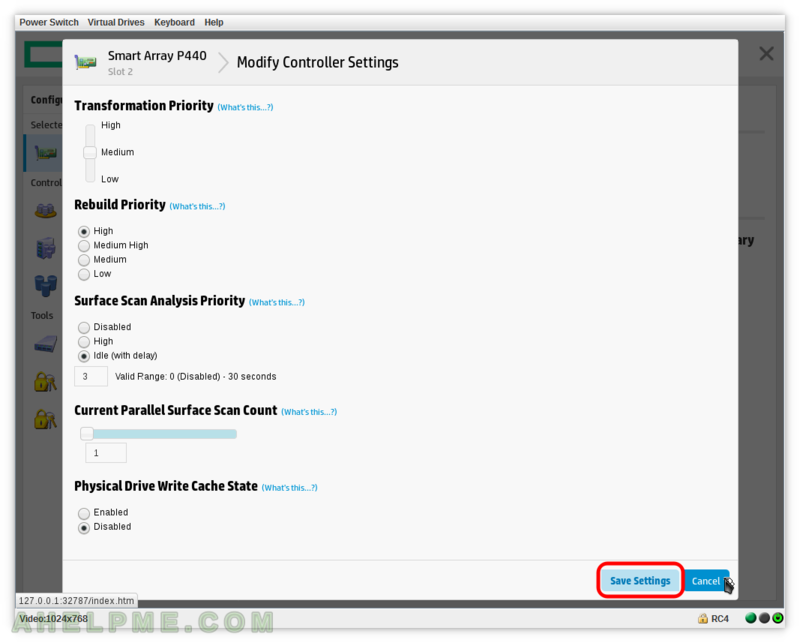 The Settings, which could improve the controller’s performance in different use cases. The options are: Default Settings, Video-On-Demand Optimized Settings. 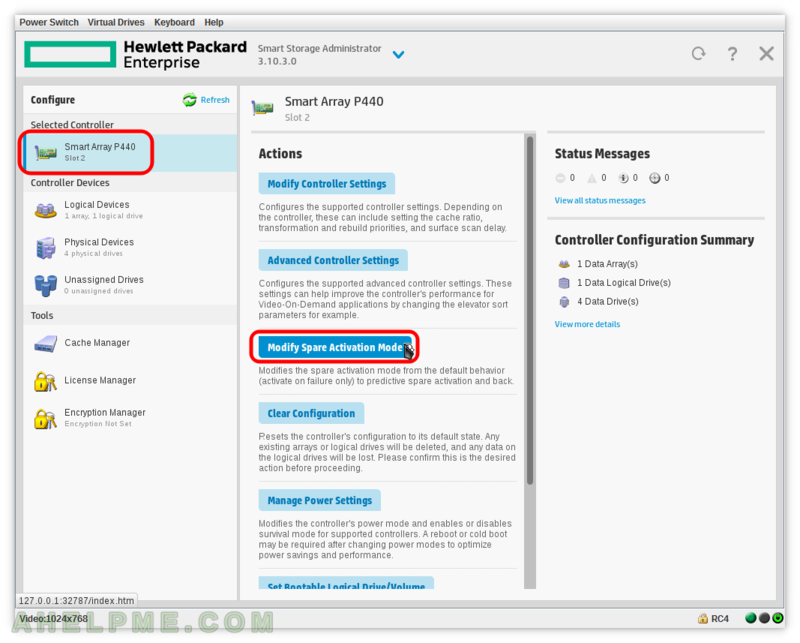 The available options are Enabled and Disabled. The available options are Enabled and Disabled. Scroll down for more settings. An available option is a number between 0 and 1440. 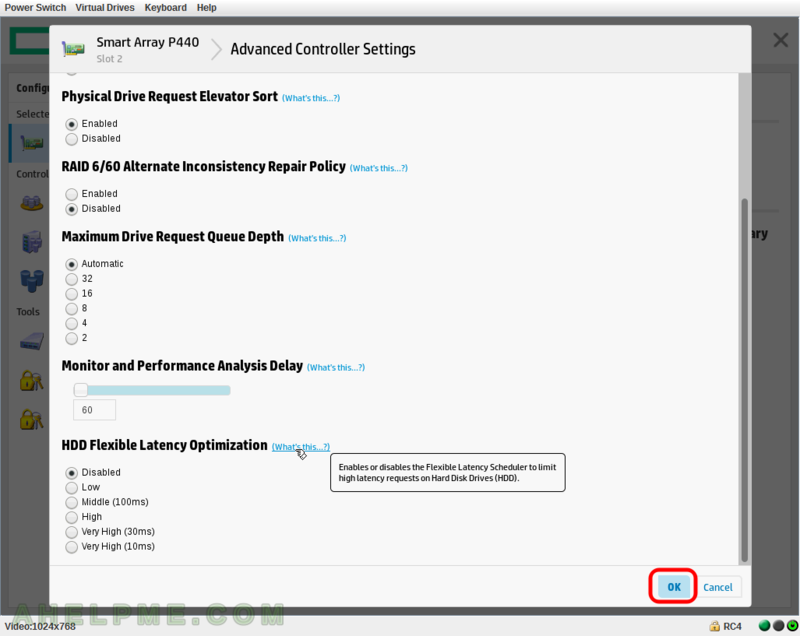 The available options are: Disabled, Low, Middle (100ms), High, Very High (30ms), Very High (10ms). 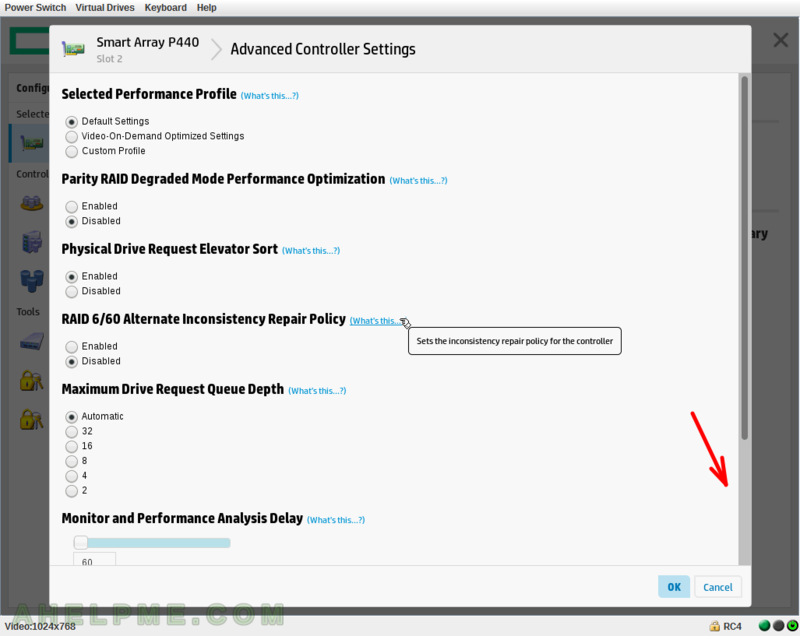 SCREENSHOT 40) Click on the controller Smart Array P440 on the left and then click on “Modify Spare Activation Mode” to modify disk spare behavior – predictive or not.